Pear Tree Place01263 715779work01603 870304fax Self-cateringFollowing a complete refurbishment in 2018, Pear Tree Place (built in 1965) is a delightful 3 bedroom bungalow – ideal for 4 adults and 2 children in a quiet cul-de-sac. In walking distance to the local amenities of Hunstanton and its famous beach / cliffs. Following a complete refurbishment in 2018, Pear Tree Place (built in 1965) is a delightful 3 bedroom bungalow – ideal for 4 adults and 2 children in a quiet cul-de-sac. 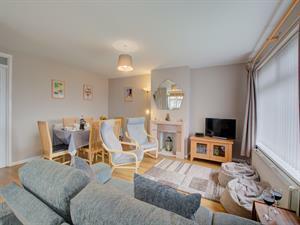 In walking distance to the local amenities of Hunstanton and its famous beach / cliffs.